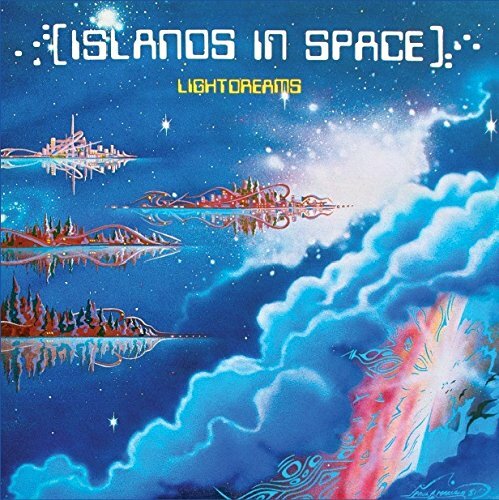 Thirty-five years ago in 1981, the British Columbian band LightDreams, released their debut album, Islands In Space. It was a captivating, psychedelic sci-fi odyssey where LightDreams explored cosmic ideology. This was something that had fascinated and enthralled the band’s leader Paul Marcano ever since he first encountered the work and theories of author, physicist and space activist, Gerard K. O’Neill. So much so, that Paul decided to explore the subject on LightDreams’ debut album, Islands In Space. Later, in 1981, LightDreams released Islands In Space. Normally, an album like Islands In Space would’ve found favour with fans of psychedelia and progressive rockers who embraced cerebral, innovative and epic albums. Alas, that wasn’t the case. There was a quite simple reason for this. Unlike the majority of successful psychedelic and progressive rock bands, LightDreams weren’t signed to a record company. This meant there was no promotional budget to hep spread the word about slands In Space. Nor did LightDreams have the access to people with the expertise to promote what was a truly ambitious and innovative. Instead, LightDreams decided to self-release Islands In Space. They had 1,000 albums pressed on vinyl which the planned to sell themselves. Sadly, Islands In Space wasn’t the success that the members of of LightDreams had hoped. It was only much later, that word began to spread about Islands In Space and its followup 10,001 Dreams. Occasionally, a few lucky record and tape collectors chanced upon a copy of Islands In Space or 10,001 Dreams. They paid their money and discovered tw groundbreaking hidden gems. Before long, collectors and aficionados of psychedelia were looking for copies of Islands In Space and 10,001 Dreams. This was a long shot, and most collectors came up short. The only hope was that a reissue company would eventually reissue both albums. Thankfully, Got Kinda Lost Records released Islands In Space earlier in 2016. It allows the listener to go back in time to British Columbia in 1981 when Paul Marcano met the musicians with whom he would form LightDreams. Like most towns and cities in 1981, British Columbia had a vibrant and thriving music scene. Paul Marcano was part of this scene, and had been for eight years. By 1981, Paul deiced to look for likeminded musicians who he collaborate with, and maybe even form a band? Having loked through the local music scene, and at his circle of friends, eventually, Paul found likeminded musicians he could work with. This included two of his friends, rhythm guitarist Cory Rhyon and keyboardist Andre Martin. They would be joined by bassist Alex Lowe, lead guitarist John Walker and Tim Moore on keyboards and saxophone. With Paul Marcano’s search for likeminded musicians over, the search for a name. Eventually, they decided to call the newly formed group, LightDreams. This suited the type of music Paul intended to make. LightDreams was, to all intents and purposes, a vehicle for Paul Marcano. Compared to the other members of LightDreams, Paul had a wealth of experience. He had been making music since 1973. Paul Marcano’s recording career began in 1973, when he recorded what should’ve been his debut album. For whatever reason, the album was never released. However, one of the songs would feature on 10,001 Dreams, which was LightDreams’ 1982 sophomore album. So would two songs from Paul’s unreleased sophomore album, It had been recorded in 1978, but just like its predecessor it lay unreleased. LightDreams offered Paul a new and fresh start. Paul Marcano was brimming with ideas enthusiasm and energy. Not only had Paul been writing songs for a number or years, but he was also a talented multi-instrumentalis with a vision. That would become clear as LightDreams’ thoughts began to turn to their debut album. With the encouragement of his friends Cory Rhyon and Andre Martin, Paul began writing Islands In Space. His creativity was about to blossom. Paul had already written I Ride With The Wind and Atmospheric Dreams/My Spirit Soars in 1976. They were perfect for the project Paul envisaged. However, two songs don’t make an album, so Paul penned four new tracks, The High Frontier, Islands In Space, Voiceless Voice, Solar Winds and Farewell Goodbyes during 1981. The other track was Atmospheric Dreams, which Paul and Cory Rhyon. These songs would become Islands In Space, where Paul shared his vision for the future. 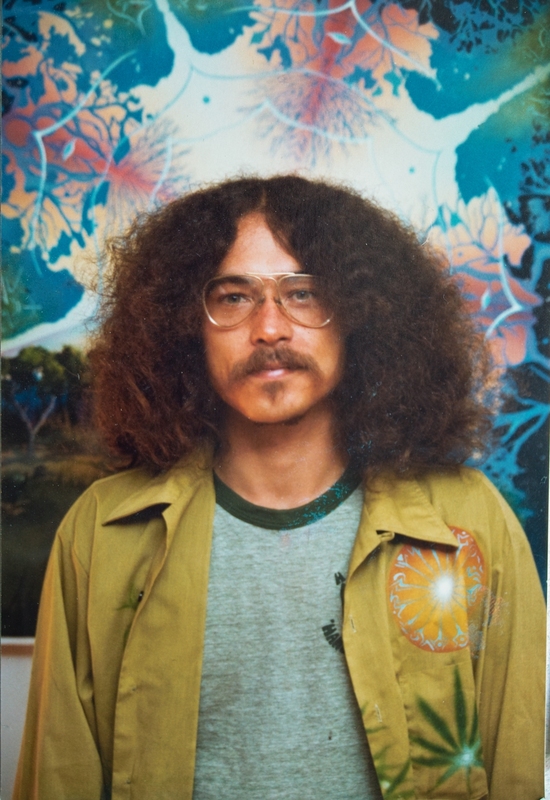 The songs on Islands In Space had been influenced by the work and theories of author, physicist and space activist, Gerard K. O’Neill. This was someone who Paul Marcano had been enthralled by for several years. One of his theories was, that eventually, mankind would inhabit outer space. This Gerard K. O’Neill believed, would result in a much better world for those left behind inhabiting earth. No longer would there be problems with overpopulation and a reliance on natural resources. However. Paul took this proposition further, exploring whether mankind’s grasp of space-age technology could lead to a peace and cosmic presence on earth? This was the thread that ran through what was sure to a an album cerebral and ambitious music. There was a minor problem though. Recording studios were expensive and beyond the budget of LightDreams. An alternative was, recording the album using the pro-sumer technology that was becoming popular in the early eighties. That still required funds, funds which for most new bands, were limited. However, one of LightDreams’ friends had another idea, and decided to approach executives at the TEAC Corporation, in the hope that they would let the band use some of their technology. This was a long shot, but one that paid off. The TEAC Corporation, who were a market leader in early eighties recording equipment, allowed LightDreams to use a 144 track cassette recorder. This was beyond their widest dreams, and more than enough to the record the psychedelic opus that LightDreams were planning, Islands In Space. Having secured what was start of the art recording equipment, work could begin on Islands In Space. Paul Marcano was joined by the rest of LightDreams. The rhythm section included just bassist Alex Lowe and rhythm guitarist Cory Rhyon. LightDreams didn’t employ a drummer on Islands In Space. Other musicians that featured on the album were lead guitarist John Walker, keyboardist Andre Martin and Tim Moore on keyboards and saxophone. These musicians were used on an ad hoc basis, and didn’t feature on every track. Some musicians only featured on one or two tracks. That’s apart from Paul, who played bass, rhythm and lead guitar, keyboards and added vocals and sound effects. He was able to use all sorts of sonic trickery and layer instruments instruments on Islands In Space. After all, he access to the latest musical technology. To makes this music, which became Islands In Space, Paul Marcano who was producing the album would make good use of the 144 track cassette recorder. This was more than enough to record even the most ambitious Magnus Opus. Islands In Space had its very own Magnus Opus, Atmospheric Dreams; My Spirit Soars; Atmospheric Dreams a near eleven minute epic. It was just one of the seven tracks that were recorded and became Islands In Space. Now that Islands In Space was completed, LightDreams decided to release the album themselves. This wasn’t unusual back in 1981, when there were many private pressings released. 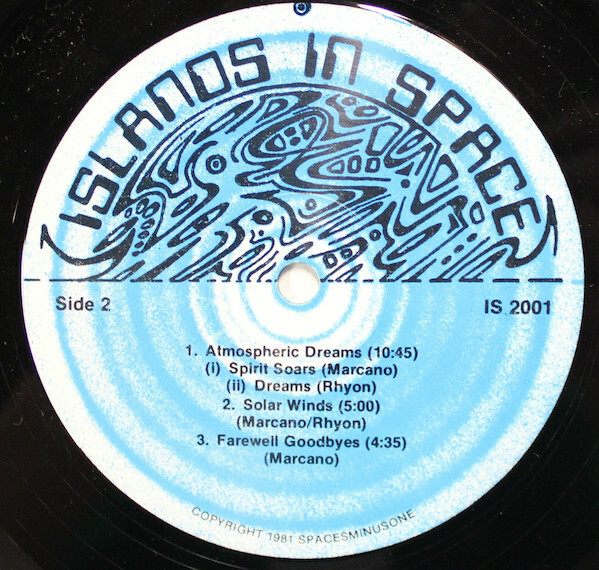 LightDreams had a 1,000 vinyl copies of Islands In Space pressed. These albums they hoped, they would be able to sell to their fellow British Columbians. Alas, it wasn’t to be. Islands In Space, a captivating psychedelic and progressive sci-fi odyssey where LightDreams explored cosmic ideology passed record buyers by. Paul Marcano was unable to setup consignments to record shops. This was a disaster, and meant that record buyers were unable to find copies of Islands In Space in their local shops. At least a few local radio stations played tracks from Islands In Space. Later, the title-track was used on a Canadian television programme. Mostly, though, Islands In Space passed record buyers by. They missed out on an album that wasn’t just ambitious, but innovative and featured cerebral and thought-provoking lyrics. Somewhat belatedly, word began to spread about Islands In Space. They paid their money a groundbreaking hidden gem. Before long, collectors and aficionados of psychedelia were looking for copies of 10,001 Dreams. This was a long shot, and most collectors came up short. Now though, Got Kinda Lost Records’ remastered reissue of Islands In Space allows the album to be heard by a much wider and appreciative audience. The High Frontier opens Islands In Space, and is a guitar lead instrumental. Paul and lead guitarist John Walker take charge of the guitars. They chime and chirp, while a grinding sound is the recording of a guitar being played backwards. These guitars melt into one, with their glistening, crystalline sound being panned across the arrangement, and sometimes, back to front, At one point, it’s as if guitars are replicating the sound of a deserted beach, with seagulls flying overhead. Later, the arrangement grows in power and drama, as the guitars and bass create cinematic backdrop. That’s until a blistering, scorching guitar solo is unleashed, It’s then replaced by a sprinkling of space age sounds that come courtesy of the guitars.It seems that The High Frontier is a showcase for the LightDreams’ guitarists and their inventiveness and imagination. On the title-track, Paul sings of his dreams that one day, there will be Islands In Space. A guitar is strummed urgently, and the sound of engine buzzing can be heard as the arrangement begins to reveal its secrets. Maybe it’s heading for one of the Islands In Space? Paul’s vocal is accompanied by guitars and washes of keyboards. Reverb is added to arrangement, adding lysergic sound. Soon, the bass is played firmly, as synths maunders and grind. Mostly this big, bold arrangement has a dreamy sound, with Paul’s impassioned vocal taking centre-stage Midway through the song, a saxophone is added,. and brings to mind Pink Floyd, and their Magnus Opus Dark Side Of The Moon. It drifts in and out, as Paul scats and guitars combine with keyboards. Together, the play their part in a carefully crafted, melodic song with cerebral and thoughtful lyrics. The cinematic sounding Voiceless Voice sound as if it belongs on the soundtrack to the soundtrack to sci-fi movie. Glacial synths glide along, while beeps and squeaks tap out code. Meanwhile, dialogue between launch control and a spaceship is added. When the dialogue drops out, the ethereal, elegiac synths float along. They’re joined by a bass synth, which adds an element tension and drama. So too the bubbling synths and synth strings. Later, an alarm sounds and the dialogue returns “Columbia requests permission to dock?” This marks the end of this captivating voyage of discovery. Providing this cinematic accompaniment were LightDreams, who encourage the listener to let their imagination run riot? Those that do, will be richly rewarded. I Ride With The Wind is a song Paul write back in 1976. He plays all the instruments on the track. This includes the acoustic guitar that sets the scene. It’s joined by another guitar and they provide the backdrop for Paul’s ruminative vocal. He’s contemplating space travel, and trying to imagine leaving planet earth behind and “I Ride With The Wind.” Meanwhile, just the guitars and bass accompany him. Briefly, reverb added to the vocal, before echo is added to the arrangement. It becomes dubby and beatific as if Paul’s is imagining and hoping that one day, this will be possible. Atmospheric Dreams and My Spirit Soars are part of a twelve minute, two part suite. It’s the work of guitarist Cory Rhyon and Paul, who plays the rest of the instruments. This includes the bass that underpins the arrangement, guitar and wind chimes. Paul also adds another dreamy, beatific vocal and narrates the song with cinematic lyrics. Meanwhile, the arrangement meanders along, as Cory occasionally adds echo. He realises less is more, and this sparing use of echo proves effective. By then, elements folk rock, psychedelia and progressive rock combine. Later, a blistering rocky guitar cuts through the arrangement. Echo is added to this virtuoso performance before it drops out. Replacing it is a backwards guitar, before the scorching guitar makes a welcome return. It’s joined by an acoustic guitar before it’s all change. Just guitars play, and add en elements of urgency as the second part of the suite unfolds. Musical genres melt into one as the guitars play. At one point, the guitars are reminiscent of Jethro Tull, as progressive rock and later folk combine. Later, the arrangement becomes understated, and there’s even a jazz influence to the guitar and bass. Things change when the buzzing bass synths makes it presence felt, before this on this genre-melting epic meanders to a close. It features Paul and Cory at their creative zenith, as they innovate and create music that’s imaginative and inventive. Solar Winds is another instrumental. Cory’s acoustic guitar is combined with washes of Paul’s glacial synths. They’re responsible for a variety of futuristic sound, while what are described as Solar Winds are added. Together, they create a meandering backdrop that’s variously otherworldly, eerie, haunting, elegiac and futuristic. This conjures up images of the sounds and sights one would expect late at night in the desert, under the Joshua Tree. Farewell Goodbyes closes Islands In Space. An acoustic guitar plays, as Paul dawns the role of narrator. That’s until the vocal proper enters. It’s interspersed with dialogue and sci-fi sounds, before a searing guitar is added. Later, Paul’s vocal and narration combine. They’re layered one on top of the other. Then another rocky guitar is unleashed briefly, before Paul continues his attempts to convince the listener that: “Islands In Space…are the next big taste.” These “Islands In Space.” Paul believed; “will save the human race.” Meanwhile, a guitar is panned, while there’s a beatific, hopeful sound to Paul’s vocal as he sings: “we’re on our way.” This thoughtful and cerebral song closes LightDreams debut album Islands In Space. It was a thought provoking album that deserved to be heard by a much wider audience. Maybe things would’ve been different if Islands In Space had been released by a major label? Instead, the band self-released the album, and its release was beset with problems. Even setting up consignments of the album proved problematic. This meant that very few people outside of British Columbia got to hear Islands In Space. It was the album that got away. Islands In Space was a polished and highly accomplished hidden gem of an album. Paul Marcano’s eight years of experience shine through on Islands In Space. By 1981 he was an experienced singer, songwriter, multi-instrumentalist and producer. He had recorded at least six albums, none of which he had released. Maybe Paul Marcano was searching for musical perfection? It may have been that Paul was searching for likeminded musicians, and only found them when he founded LightDreams in 1981. LightDreams was essentially, Paul Marcano’s musical vehicle. He wrote six of the seven songs on Islands In Space, and cowrote the other song. Paul also produced and played many of the songs on Islands In Space. It’s a captivating, psychedelic sci-fi odyssey where LightDreams explored cosmic ideology. The lyrics are cerebral, ruminative and thought-provoking. That’s still the case thirty-five years after its release in 1981. 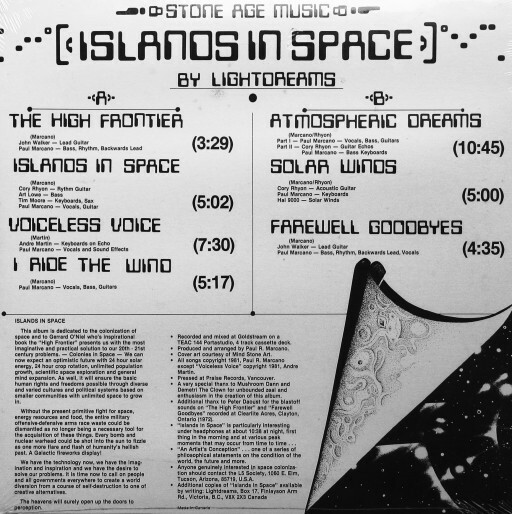 Alas, LightDreams’ debut album Islands In Space passed most people by. It was only discovered by a small group of discerning music fans living in British Columbia. Most collectors and aficionados of psychedelia got to the party late, as far as Islands In Space was concerned. That’s apart from a few lucky music fans who found a copy in second hand stores or bargain bins. They paid their money, and discovered a groundbreaking, genre-melting hidden gem. Before long, word was out, and collectors and aficionados of psychedelia were looking for copies of Islands In Space. The only problem was finding an original copy of the album. 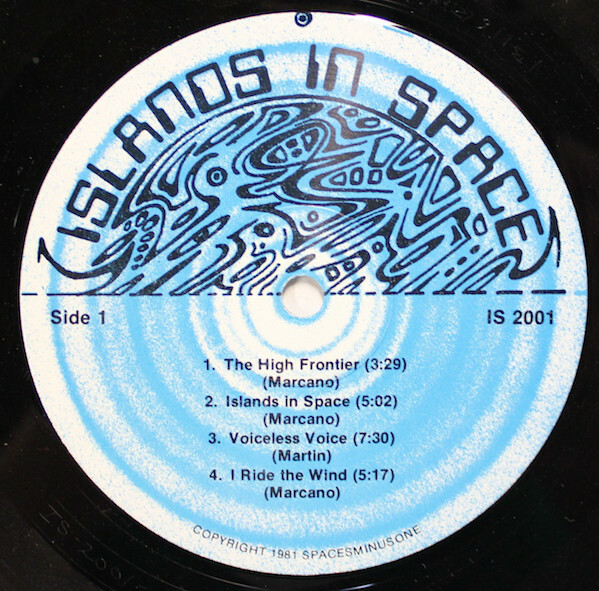 Original copies of Islands In Space were incredibly rare. It was more good luck than good judgement when record buyers found a copy. Usually when they discovered a copy, the price was beyond the pocket of most record buyers. This meant a new audience who wanted to discover the delights of Islands In Space were unable to do so. Not any more though. Got Kinda Lost Records released newly restored reissue ofIslands In Space earlier in 2016. It’s without doubt one of the most welcome releases of the year. Collectors and aficionados of psychedelia have dreamt of this day for many a year. At last, Islands In Space is belatedly available for music fans to discover and enjoy. It’s a truly genre-melting album, which is a voyage of discovery. Islands In Space takes as its starting point psychedelia. However, Islands In Space is much more than psychedelic album. Elements of ambient, avant-garde, Berlin School, folk pop, Krautrock, progressive rock and rock can be heard throughout Islands In Spac. It’s a musical melting pot, where instruments and influences melt into one as LightDreams sculpt a captivating psychedelic sci-fi odyssey. LightDreams begin their exploration of cosmic ideology, which was continued on their sophomore album 10,001 Dreams. Both Islands In Space, and its followup 10,001 Dreams are true cult classics, that showcase the considerable talents of LightDreams. Especially founder member Paul Marcano. He had been working towards releasing an album based on cosmic ideology for several years. This only happened when Paul Marcano met the likeminded musicians that joined him in LightDreams in 1981. Later in 19.81, Islands In Space was released. It’s the first, in a two part musical voyage of discovery, that features LightDreams’ unique, imaginative and innovative brand of cerebral and throught-provoking music on their captivating psychedelic, sci-fi odyssey, Islands In Space. ← DAVID SANCIOUS AND TONE-TRUE STORIES AND DAVID SANCIOUS-JUST AS I THOUGHT. TOMMY HUNT-THE COMPLETE MAN: 60s NYC SOUL SONGS. TONY BANKS-HIS LIFE AFTER GENESIS. THE LIFE AND CAREER OF NORMA WINSTONE. THREE DAY WEEK-WHEN THE LIGHTS WENT OUT 1972-1975. THIS IS LOWRIDER SOUL 1962-1970. MANCHESTER-A CITY UNITED IN MUSIC. CYCLONE! GALLIC GUITARS A-GO-GO 1962-66. WHATEVER HAPPENED TO ALICE CLARK? THE CHARLATANS-THE MUSICAL MAVERICKS AND DANDIES WHO HAD IT ALL. HALLELUJAH-THE SONGS OF LEONARD COHEN. THE THREE YEAR STORY OF SWEENEY’S MEN.